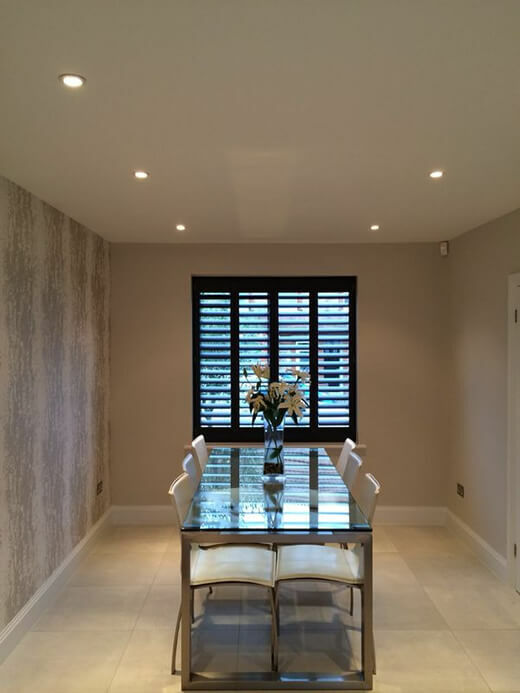 We were recently asked to fit some of our custom made shutters to a property in Tunbridge Wells in Kent. 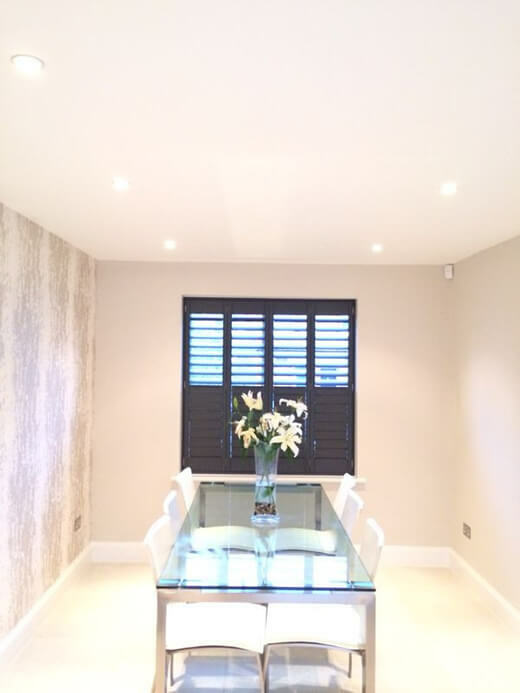 The customer was looking to have shutters fitted to a window in a newly designed dining room area. We used full height shutters with invisible split and a hidden tilt rod system and 89mm louvres. The colour used was a Rich Walnut which looks fantastic with the new room decor. 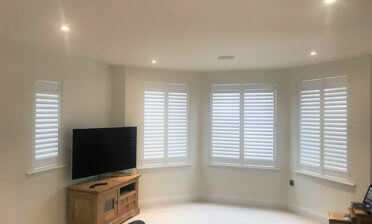 The client decided upon this colour of shutters to give more depth and warmth to the room compared to using a standard white paint. It also helps achieve a darker room when closed for the evening. 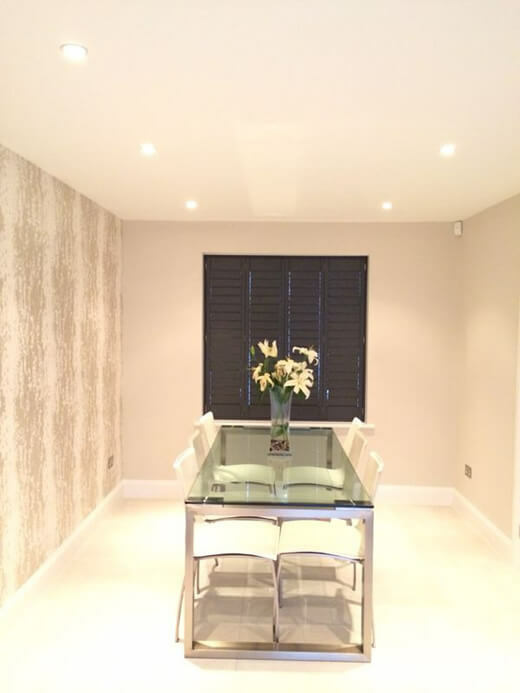 We think that they have finished off the room perfectly with both looks and functionality. 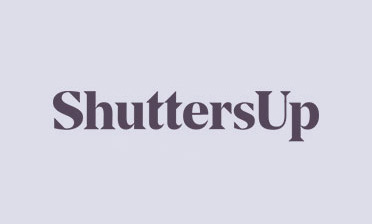 The shutters feature an invisible split which allows for the bottom half of the shutters to be closed without having to jeopardise the continuity of the louvres in the panel!